I'm travelling on many random buses of late. 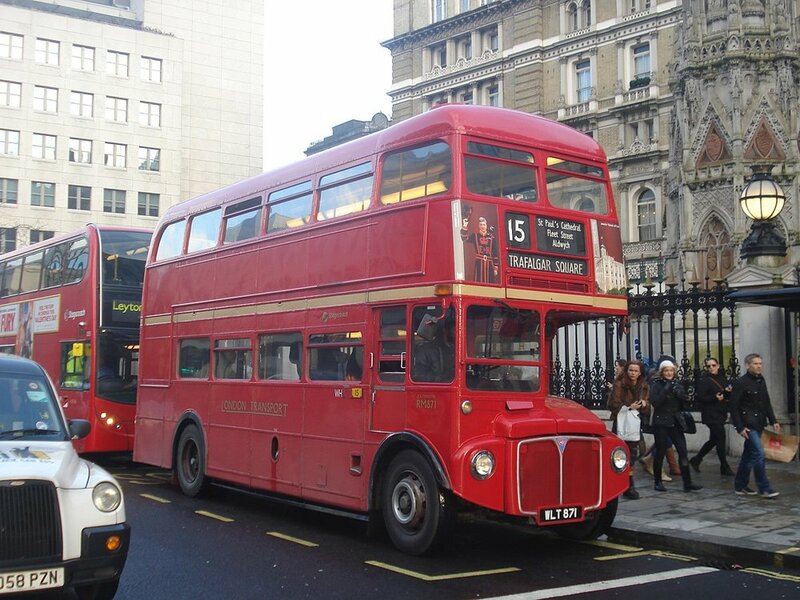 One of my favourite remains the heritage bus route 15 between Trafalgar Square and Tower Hill. It has a conductor and is the only old double decker bus service still running. "....Almost 50 years on the Routemaster continued to be London's work horse. In the summer of 2003 there were still 20 crew operated routes running over 500 Routemasters on the streets of London. Suddenly in August 2003, Route 15 mysteriously lost its Routemasters soon followed by Route 11 in October and Route 23 in November; only months after the last Routemasters had been refurbished by Marshall. Things were not looking good. 2004 came and ten routes were converted, making it clear that Routemasters were not here to stay. By 2005 that number had been slashed to fewer than 100 Routemasters running just three routes. Time was quickly running out for London’s Routemaster. An announcement was then made by TfL that all Routemasters would be withdrawn by the end of 2005. ..."